Did you know there are people out there who dig a hole and fall in it themselves, that too by accident? Well, these people borrow money and then keep getting dragged down the rabbit hole. Unless you want to be one of such people, read this article with high concentration! You will find out a lot of information regarding loans and lenders. Private loans, as the name suggests, are given by private lenders. Financial institutions or banks are not the ones who deal with such lending. The funds can be given by anyone that is not an official institute. Direct lenders are people who usually give out money based on the closeness of relationships. These lenders are the easiest to deal with online. With that being said, you should not worry about customer service. These lenders offer just as good, if not better, services as a big company would. How to Find Reliable Lenders? Luckily, lenders in Canada are very easy to find. The easiest method is, of course, to utilize the facility of the Internet. The major benefit of searching online is not the ease or time efficiency; in fact, the best part of this method is that you can look at reviews side by side. This way you would not have to waste time researching a company only to find dissatisfied clients later on. After you have found some private lenders, it is time to make sure that these lenders are offering what you want. Many lenders advertise their services using a common loan name but what they’re offering is nothing of the sort. Read More: How To Select A Private Lender? The incidents of frauds will haunt you. The world out there is definitely cruel and you must be cautious. Do not just trust any lender. The matters of money can get very ugly very quickly. A few red flags should warn you to stay away from certain lenders. 1. Direct lenders are usually the best option. Since you are in direct contact with the lender, you can examine the level of transparency to figure out whether or not this person is trustworthy. 2. All you need to do now is thorough research. Look into the lender's background. Find reviews and confirm their authenticity. If possible, get in touch with one of the lender's previous clients. 3. Lastly, one step that is important for all loans and all lenders is the clarity of the contract. To finalize a deal, you will have to sign legal documents. Before you do so, be sure of the meaning of every clause, clarify any ambiguity, ask as many questions as you have, and basically do not be left unaware of any detail whatsoever. What Rights do I Have as a Borrower? Before limiting your search to private lenders who offer money for people with bad credit, do some research on your score. When a borrower is dealing with a lender instead of an official institute, it is a given that their score is not the best. Therefore, stop getting tricked by companies who claim to be doing you a favor by accepting your application with a low score. How Can I Use The Borrowed Money? Whether you apply in Ontario, Calgary, Edmonton or any place in Canada, you can use it for any purpose. There are some limitations in some cases. For example, if you are getting the funds for business purposes, you must only use the money for business purposes. This can be an investment, payment, startup cost or any other expense that is linked to your business. Is It Safe to Borrow? Private loans are completely safe. The only danger out there is bad lenders who trick people with lesser knowledge. For your safety, start researching. Be aware of all legalities so that no lender can try to rob you of your hard-earned money. What If You Can’t Pay Back The Loan? It is very intelligent of you if you are worried about the long-term from the beginning. Many people carelessly sign up for things that they regret later on. There is a possibility for every individual equally to suffer from financial instability. If that happens, you might have a hard time paying back the borrowed money. The exact penalty for not making timely payments depends on the lender. Some lenders tend to be very lenient and will not give you a hard time at all. On the contrary, some lenders could get you in jail for this matter! Read More: How Bad is it to Miss a Loan Payment? 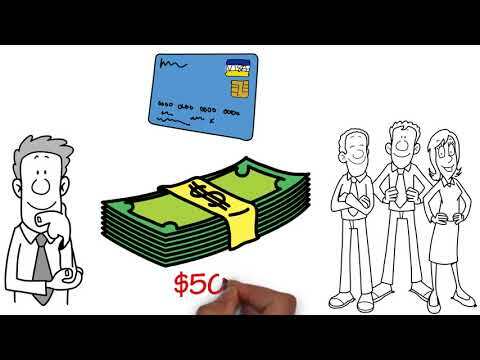 How To Improve Bad Credit? A credit score is mostly boosted by timely payments. When a huge amount of money is paid or a loan is paid back before it was due, the system is tricked to believe that you have become punctual as well as economically stable. This, in turn, brings the credit score up. Are you tired of being declined by banks? Looking forward to borrowing up to $5000 in 24 hours? Here at Loan Away, we offer low rates for our private loans even if you are a bad credit holder. When unexpected expenses arise, one needs quick money to deal with these. While many people do have the habit of saving, it is often not possible to save large sums of money. The reason is that expenses and costs are both steadily rising. The fact that your first search for a lender results in supposedly remarkable rates, does not mean you should commit to that particular private lender. Make sure to get and compare as many quotes from as many lenders as it is possible. Private personal loans are funds you can borrow from private loan lenders that are independent organizations and have easier approval criteria.